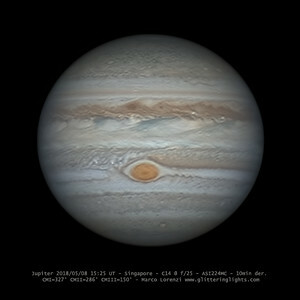 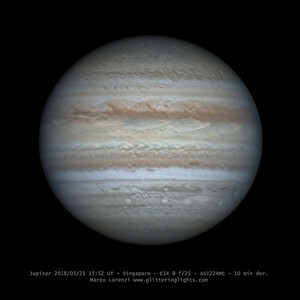 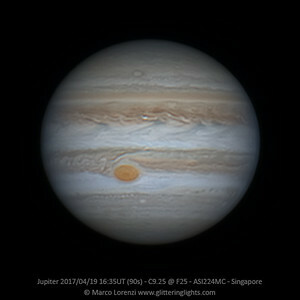 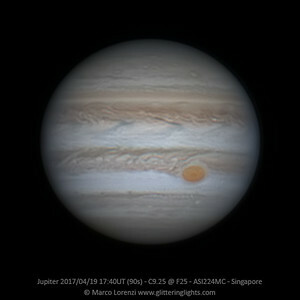 This is Jupiter's full rotation (lasting about 10 hours) taken in two nights between Aril and May 2017. 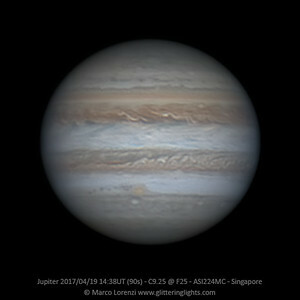 In total over 100 videos of 90 seconds ended up in this job, about half a million single frames stacked with AS! 3 and then derotated with Winjupos to create a final set of 34 stacks merged in a map and then reconverted to create the rotation video. 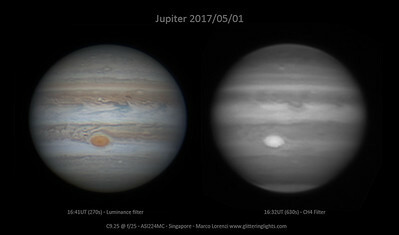 the full processing took a lot of time and was not trivial, also because planet morphology changes significantly from just one day to the other.